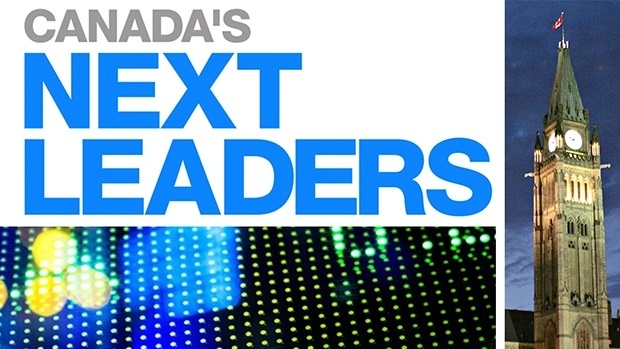 Every year an advisory board made up of major Canadian business executives – such as CIBC CEO Victor Dodig and Nestle CEO Shelley Martin – comes together to select 40 winners from a pool of nominees under the age of 40 whom they consider up-and-coming leaders. The importance of hard work was the overwhelming theme BNN heard this summer from this year’s winners. Agrafioti is responsible for RBC’s intellectual property portfolio in artificial intelligence and machine learning. Rumie is a non-profit organization that aims to bring free education to underserved communities around the world. "As an entrepreneur, you're always overworked and under-resourced. You have 100 things you could be doing – but time for only 10 of them. You have to very quickly figure out which 10 per cent of work drives 90 per cent of your targeted outcomes, and just say no to all the rest." CarbonCure retrofits concrete plants with a technology that recycles carbon dioxide to make stronger, greener concrete. "Understand that the global industry is undergoing enormous changes to adjust to increased demand for green buildings, and solutions that help mitigate climate change. The industry needs young people to lead this. It’s a great time to enter the industry and be part of this change." Think Research is a cloud-based software design company that focuses on finding solutions to today’s healthcare problems. Koru Distribution is a distributor of eco-friendly lifestyle brands. Mad Radish is a new salad-based chain restaurant, created by the founder of David’s Tea. Buyatab offers online solutions that help brands sell their gift cards online. PlasticMobile is a software development firm that focuses on mobile apps in the financial, retail and loyalty spaces. "If you’re saying ‘that’s not my job’ or ‘that’s above my paygrade’ – stop. While this applies to young talent, it should ring true regardless of where you are in your career. Embrace the opportunity to wear different hats, build a variety of skills whenever you can, and take pride that you’re trusted to take it on. At the end of the day, it’s not what you're doing, it’s how you’re doing it." IEX is an SEC-approved stock exchange based in the United States. "The only truly sustainable advantage today in business is to become the best in the world at what you do. Becoming the best at what you do takes focus and specialization. It means giving up on all the other exciting things you could be doing to become excellent at one thing." Brunham’s research focuses on understanding the genetic aspects of heart disease, and the genetic basis for how people respond to medication. Trend Hunter tracks and features innovative ideas, viral news and pop culture to advise brand clients and create custom trend reports. The Gupta Group is a residential and commercial real estate development company. Skip the Dishes is as a food delivery and online takeout ordering service that was acquired by the U.K.’s Just Eat. "Being a founder is a rollercoaster of euphoria, anxiety and despair. It is less glamorous than people think. For most people, joining a high performance startup is a great first step to learn entrepreneurship. But if your heart is telling you that you are ready to be a founder? Go for it."